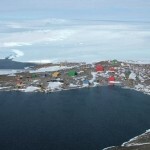 The 95 meter long, 3911 dwt research vessel Aurora Australis ran aground in Horsehoe Harbour near Mawson Station, Antarctica. 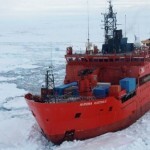 The Aurora Australis was moored in the harbour when a blizzard with strong winds reaching over 130km an hour cause the vessel to break its mooring lines. 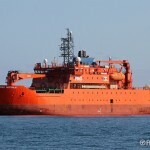 Pushed by the wind, the research vessel drifted aground. No reports of injuries to the 67 persons on board. 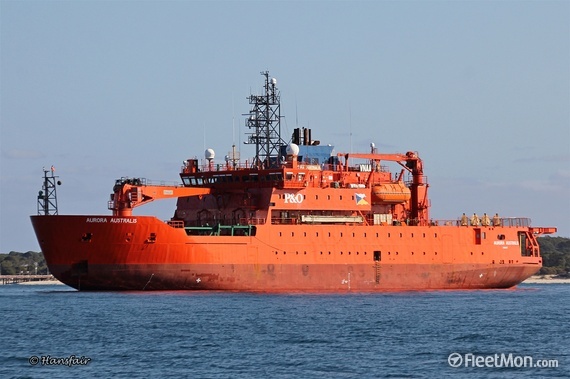 Reports state the Aurora Australis was undamaged and no water ingress reported. No reports on when or if the research vessel will be salvaged.